The damp containers and tents of Moria Camp on Lesbos feel like a dead-end for many migrants and refugees, who have traveled weeks or months and paid people-smugglers often large sums of money to reach the European Union. 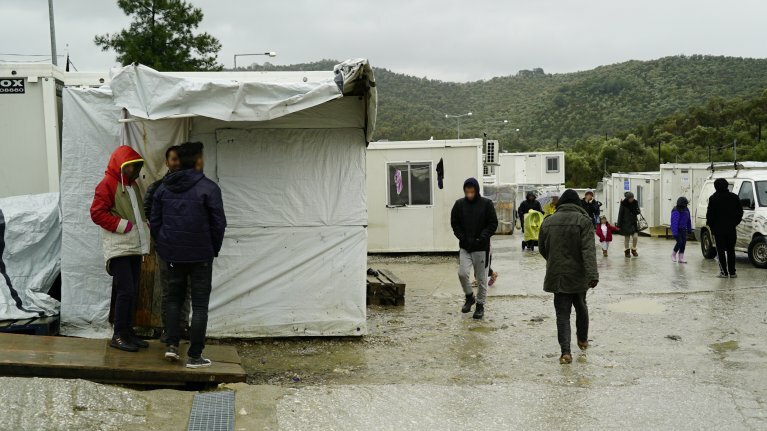 Faced with criticism over poor living conditions, the camp’s director tells InfoMigrants he and his team are "doing our best, but we have new arrivals all the time." Patience is not only a virtue, it’s a necessity for residents of Moria Camp on Lesbos. They spend most of the day lining up for meals, medicine and paperwork. Many have learnt the word for wait in Greek: perimene. "Always perimene," a migrant from Cameroon told us. "Hospital perimene, to eat perimene, police perimene, how many perimene? I wait in the European Union!"